Blogs & Blooms: Andrea - New Gardener waiting to bloom! I HELP GARDENERS GROW! Award winning journalist; television host (Bugs & Blooms); columnist on CBC radio and in the Calgary Herald; book author. Invite Donna Balzer to speak at your special event. Andrea - New Gardener waiting to bloom! Thanks for coming to my talk to the U of A Alumni. What a great group! I am always excited to meet new gardeners and I see you are full of questions . If I can clarify/abbreviate your e-mail, you have inherited a garden with mixed trees, shrubs, flowers and vegetables. Right now your immediate questions are about pruning your fruits and improving your vegetable area and compost. Your zucchini failed to bloom last year and you added manure to the vegetables and are now worried about the quality of that manure. First things first. Do not trim your Saskatoons or Nanking cherries until after they bloom and start to leaf out. This is still over a month to six weeks away in Alberta. Some people do like to prune in the winter but why cut off all the flowers and potential fruit just a few short weeks before they pop out? Instead, prune in June... take a course or look at a book about pruning because this is too big a topic to be covered here. I usually minimize pruning because plants that are rarely pruned almost always do better. Manure can be a problem when added to the vegetable garden because it often carries herbicide residues but it is easy to test for this at home. Take a few samples of the soil - one from each of your five beds - and try potting up a few fast growing seeds such as peas or sunflowers in each sample. If the growth is twisted or abnormal, you do have herbicides present. If the plants grow normally everything is fine so go ahead and plant. You mentioned you added rhubarb to your compost. This is no problem unless you are planning to eat your compost (not advised). I think you are worried because you have heard rhubarb leaves are poisonous to people but this is no problem for compost! If your zucchini are not blooming you may be low on light. Most vegetables need sun to bloom - at least four or five hours a day. If you don't have this much light you may have to prune or remove some larger trees or grow leafy vegetables instead of fruiting vegetables. Try leaf lettuce, spinach or swiss chard if light levels are low. What Do Gardener's Want for Christmas? Click the PayPal Add-to-Cart button below to purchase No Guff Vegetable Gardening through my fulfilment partner Alpine Book Peddlers. No Guff Vegetable Gardening: on the top ten list in the Calgary Herald for 15 weeks in 2011! 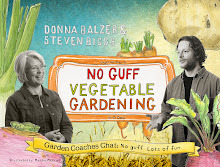 Farmer’s daughter and army brat, Donna Balzer brings common sense and fun to her garden writing and speaking. 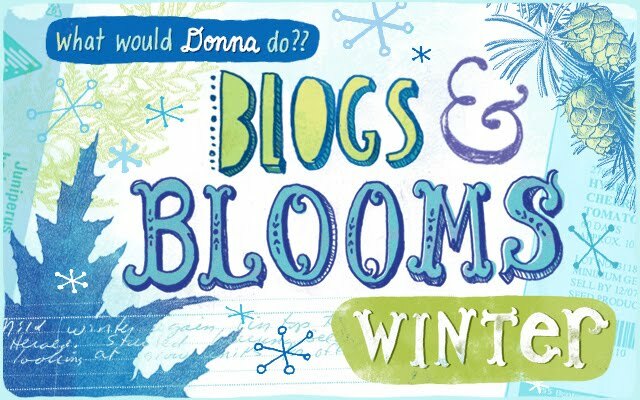 Donna is an award winning media personality, a blogger and author of three books. Her Bugs & Blooms television show, originally aired on HGTV, still brings comments from fans and her seasonal CBC Garden phone-in show is popular across Alberta. Read her seasonally in the Calgary Herald and affiliate postmedia newspapers. Her latest book is No Guff Vegetable Gardening. “Happily enthusiastic”, “engaging”, “humorous” and “knowledgeable,” speaker Donna Balzer charms audiences and leaves them wanting more: organic gardens, compost, pretty plants, healthy, sustainable and edible gardening tips included. Join the fun. Email donna@gardenguru.net for a fee schedule or to book a talk for your social or business group. Zinnia Seeds up in two days!